I worked here from January to August 2017 when it was “Trench,” a restaurant and bar, which is sadly permanently closed. The interior is absolutely beautiful. The baths are no longer located inside the building and the top floors are apartments, but some of the original interior remains (i.e. the walls and ceiling). There were a few patrons who would come into Trench and tell stories about the final days of the baths during the mid-1990s. There was talk from these patrons about how women weren’t typically allowed in unless on the mandated “ladies day,” Chicago gangsters would conduct business, etc. Somewhere in the restaurant’s archives lies a photo of Chicago writer, Nelson Algren, standing in front of the building. It was rumored his apartment’s plumping didn’t work and instead of replacing it, he came to the baths to shower instead. Fascinating! I used to live down the street and walked past here all the time, right when Trenchermen opened. I never went in however, because I couldn’t afford to eat there. I wish Chicago still had more all gender bath houses. They’re awesome. I do know there are a few bathhouses left in Chicago, though I’m unsure of their rules! I only know of Kingspa and the Russian Baths. They’re great places. 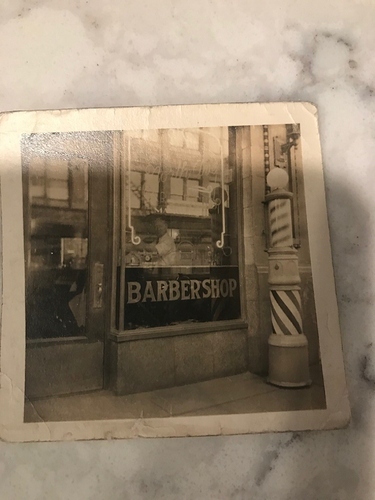 My wife’s grandfather had a barbershop on the ground floor, right hand side. Where the Angry Pig would have been. 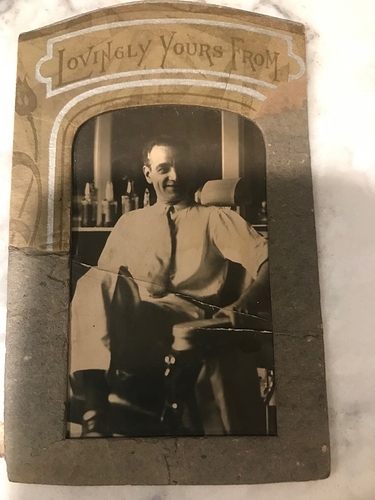 He was from Sicily and he used to cut the local “businessmen”/(gangsters) hair. It was quite a happening place back in the day. Here is a picture of the front entrance probably from the 50’s. It was called North Ave. Barber Shop.